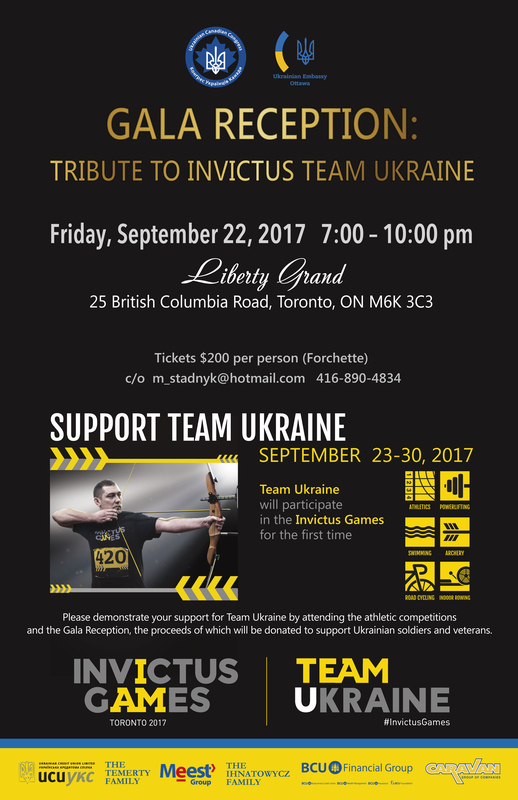 On September 22, the Ukrainian Canadian Congress (UCC) hosted a Gala Reception honouring Ukraine’s Invictus Team in Toronto. The Right Honourable Justin Trudeau, Prime Minister of Canada, His Excellency Petro Poroshenko, President of Ukraine, and First Lady of Ukraine Ms. Maryna Poroshenko attended the Gala. Here, our community raised $100,000 for wounded soldiers and veterans. Full release here. 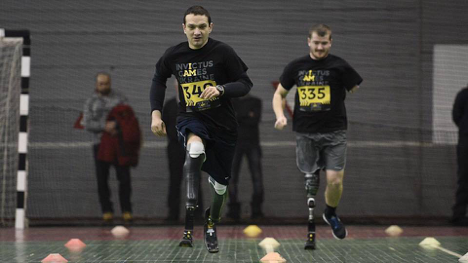 The Invictus Games are less than a month away! On September 23-30, the city of Toronto will host the soldiers and veterans from around the world and celebrate along with them their invincible spirit. For the first time, Team Ukraine will be participating in the Games! Venues have been set across Toronto, extra events for soldiers and their families and friends are being planned. 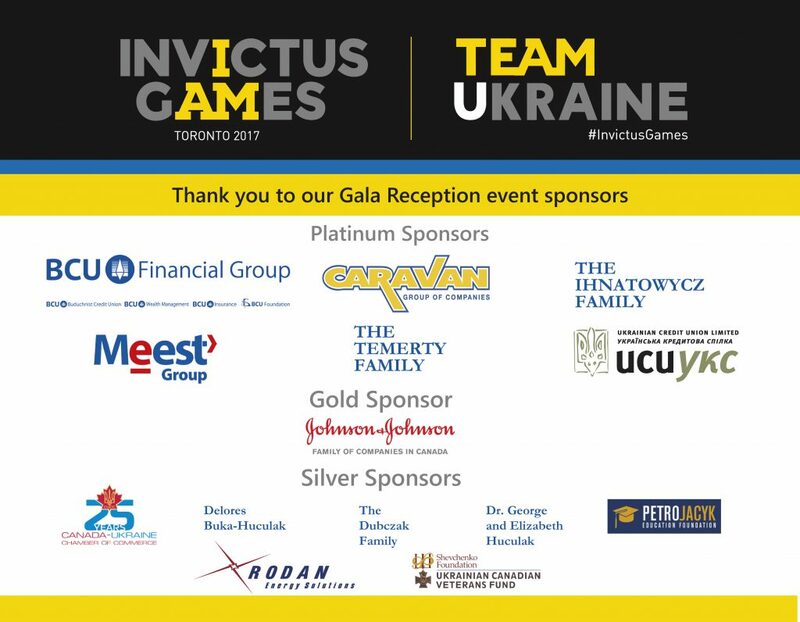 The UCC Invictus Games Organizing Committee and many volunteers are busy planning events for Team Ukraine and working on logistics. On September 22 (7:00pm-10:00pm), we will be holding a very special gala reception event at the Liberty Grand in Toronto. Please demonstrate your support for Team Ukraine by attending the athletic competitions and the Gala Reception, the proceeds of which will be donated to support Ukrainian soldiers and veterans. Update: All tickets have been sold. Thank you for your support! A special thank you to the sponsors who have come forward to date for their generous support of the Gala event. T-Shirts: Cheer For The Blue & Yellow! With less than 2 months before the start of the games a lot of work is being done behind the scenes. The soldier/athletes have been announced and are continuing their training. Ukrainian organizing team is focusing on logistics, finances and team spirit. The Ukrainian- Canadian diaspora in Toronto and GTA is working to organize meetings, receptions and show our Canadian hospitality. 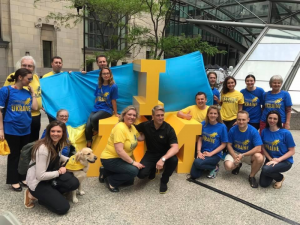 The UCC Invictus Organizing Team made wonderful BLUE & YELLOW t-shirts that every Ukrainian Canadian can proudly wear during the week of Invictus, especially to the events. For $20 you too can show your support to the young, brave men and women in Ukraine. Make sure a sea of BLUE & YELLOW will fill the stands! Please call or check for availability. Your support will go along way to help injured Ukrainian soldiers and veterans continue their rehab in various fields from sports to medical to other forms of rehab. HOORAY for the BLUE & YELLOW ! 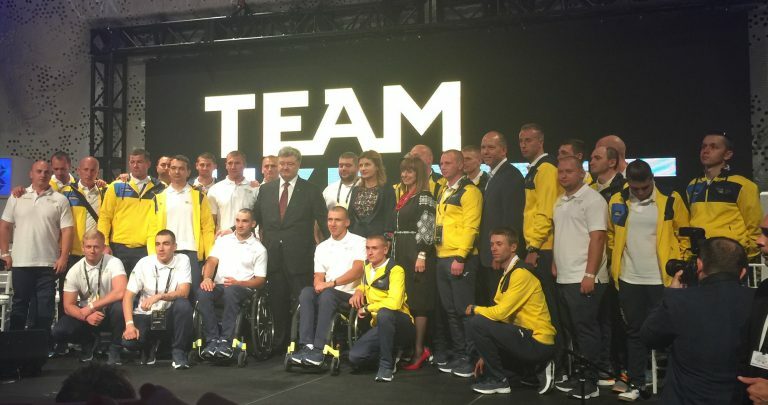 On Sunday June 25th, Ukraine’s Invictus Team for the Toronto Games was announced in Kyiv at celebrations marking Canada’s 150th birthday. The celebration’s highlight was a day of street hockey games played between various Ukrainian and Canadian teams, including military, police and civilian teams. Canadian Ambassador Roman Waschuk was presiding over the events which included visiting RCMP on horseback. This day long event was to celebrate the friendship between Canada and Ukraine and inform guests about Canada’s role in the upcoming Invictus Games in Toronto. The opportunity also was provided to announce the Invictus team of 15 athletes who will compete in these games and represent Ukraine. The 15 selected soldiers have been training vigorously within the group of 30 finalists. Upon learning who was to compete in Toronto, the chosen team decided to have the other 15 soldiers come to Canada as their plus 2 associates. this way the entire team of soldiers gets to experience the games first hand. 100 DAY TICKET LAUNCH – UCC led a PR campaign to bring people out to the Ticket Launch event at Commerce Court in Toronto June 15th. Over 25 Ukrainian Canadians showed up at noon to show their colours and support the event. We were greeted by Invictus President M. Burns, who applauded the effort and enthusiasm of the Ukrainian contingent. A blue or yellow t-shirts with the logo Victorious Ukraine is available for sale. These shirts, sold at $20 will be on sale at local Ukrainian events and festivals during the summer. Funds will go to support the soldiers and the work of UCC on behalf of the soldiers. We encourage Ukrainian Canadians to attend events where the Ukrainian Team, made up of 15 soldiers, will be competing in 6 of the 12 sports. The Canadian team comprised of 90 soldiers will be competing in all 12 events. The official ceremonies are a great way to see all the athletes and enjoy a unique event to help celebrate Canada’s 150 th Birthday. A 2 hour spectacular event with all the athletes, Parade of Nations, raising of the official flag and musical acts. A 2 hour event celebrating the achievements of the soldiers with a closing parade, musical acts and passing the torch to Australia. Tickets are Open seating and maybe purchased up to 25 per person. 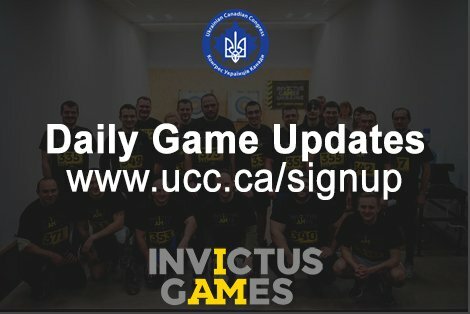 Ukrainian soldiers will be participating for the first time in the Invictus Games to be held in Toronto, Canada from September 24-30 2017. The Invictus Games are an international multi-sport competition in which wounded, ill and injured military personnel and veterans take part. These games are named Invictus – Latin for “unconquered” or “undefeated.” Founded by Prince Harry, the first Invictus Games took place in 2014 in London, UK. The 2017 Games will be held in Toronto, Canada’s largest city and will include the celebration of the 150th Anniversary of Canada’s Confederation. 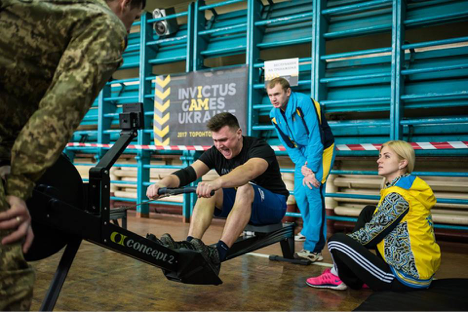 The Ukrainian Canadian community, through the UCC Invictus Games Organizing Committee (IGOC), is supporting the participation of Ukraine’s soldier-athletes in the Games in partnership with the Government of Ukraine. 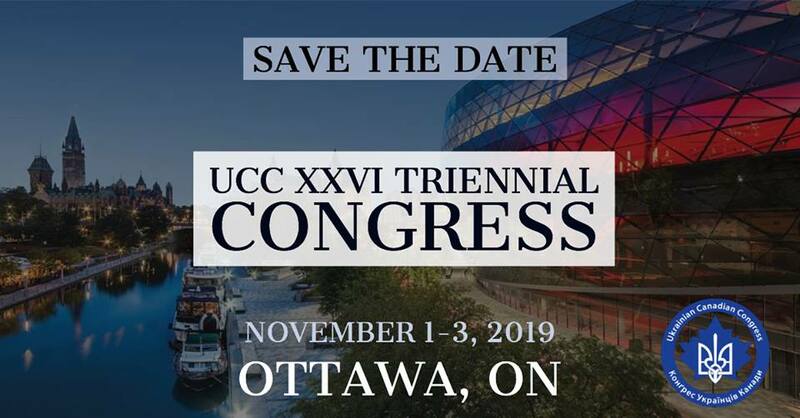 The UCC IGOC includes representatives of UCC National, UCC Toronto, representatives of Ukrainian community organizations and individual community members. The Ukrainian Team will consist of 15 soldier-athletes who will compete against 500 other competitors from 17 countries. They will compete in 6 of the 13 sports including, swimming, light athletics, archery, powerlifting , cycling and indoor rowing. The athletic venues will be across the city at universities and large sporting venues. A team of 60 Ukrainians will arrive in Toronto, which will include 15 competitors, 30 support family members, team organizers and various government officials from Ukraine. 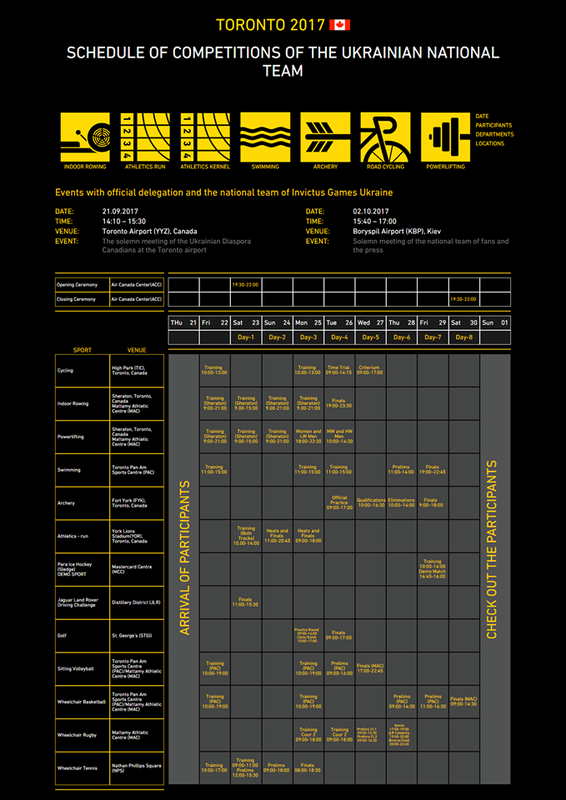 A lot of preparation is being done in Ukraine from a logistics, training and medical aspect. Presently the athletes are training to represent Ukraine at the games. 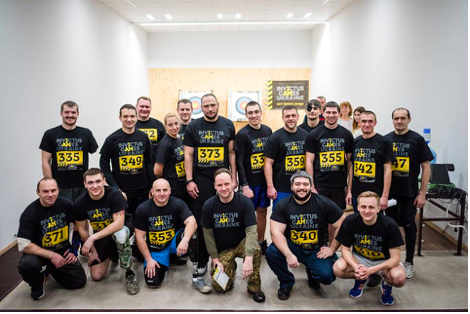 There have been 3 competitive qualifying events held in Kyiv, Lviv and Odesa, where 104 participants took part – 43 serviceman and 61 veterans. The final team selection will be done in May. The purpose of these Games is to help and inspire soldiers and veterans to improve their physical abilities, combat psychological issues and help with social interaction. These games will be friendly, where the goal is to compete, to do one’s best and not just to win. The journey and perseverance to get to the Games IS the reward. The Ukrainian soldiers and veterans are stepping up and training very hard to make Ukrainian citizens and the diaspora proud. 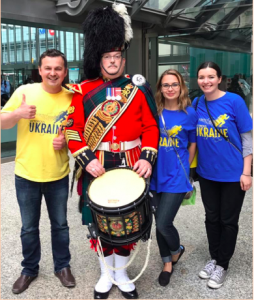 Ukraine and the diaspora, especially in Canada, are ready to support them and cheer them on!